The idea of eating tree bark may sound disgusting, but you already do so and you probably enjoy it… cinnamon. In a similar way, what pau d’arco tastes like is sweet and less woodsy. As with most teas, it can be slightly bitter due to the naturally occurring tannins, though many liken it to a licorice flavor. Not everyone will fall in love with the first cup, but after a few it will likely become an acquired taste. And just like there are side effects of cinnamon, too much pau d’arco isn’t good for you, either. Due to its alleged medicinal uses, people in Central and South America have drank it for over a thousand years. 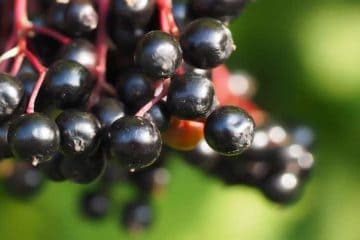 Their other names for the tea, lapacho or taheebo, have been hailed as “one of the primary medicines” that the Callawaya tribe used throughout its history (1). It’s a Portuguese name, but how to say it in English is not that hard. The correct pronunciation of pau d’arco is pow-de-ah-co. How it’s pronounced can vary a bit by dialect. The common name of this plant a trumpet tree, but not just any type. Pau d’arco only comprises a few species of the genus Tabebuia (syn. Handroanthus) (2). The type most often used is pink trumpet tea, or scientifically known as Tabebuia avellanedae tea (syn. Handroanthus impetiginosus). 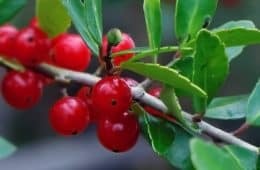 This tree is not native to North America, though it is grown in the southern parts of California, Arizona, and Florida. You will find them throughout, Mexico, Central America, and the Caribbean, but their native homeland is South America, particularly in Paraguay and Argentina. Fully mature, it can reach heights of up to 125 feet, however that requires an ideal climate. Those growing in Los Angeles average just 30 feet tall (3). What pau d’arco tea is made from is the inner bark, known as the phloem (pronounced floam). Branches of wild Tabebuia avellanedae trees are harvested, cut open, and the phloem is shaved off. These shavings are then used to brew herbal tea which does not have caffeine. Locals call it lapacho tea, or their word for the inner bark, which is taheebo. Given that it’s such a niche product, don’t expect to find USDA certified organic tea for sale. It will be non-GMO though. Since it comes entirely from a tree, that means it’s vegan and gluten free. A detailed analysis of minerals, vitamins, and phytonutrients for this beverage isn’t found in the USDA National Nutrient Database. 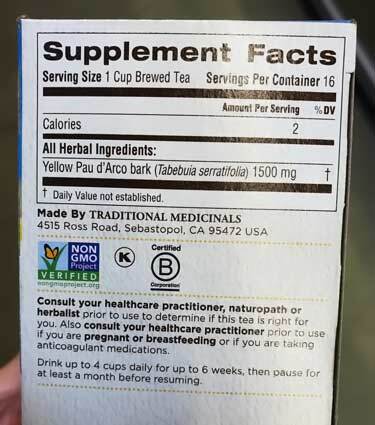 Tea manufacturers don’t include their own nutrition facts for pau d’arco either, because they only market it as a dietary supplement (that means they have supplement facts, which aren’t as detailed). Some people thing these loose tea shavings are pau d’arco root, but that’s incorrect. The inner bark comes from the branches above they ground. The roots are never eaten. 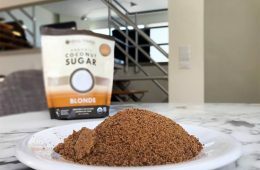 Aside from brewing it as a beverage, you can also buy liquid extract, powder, and capsules. 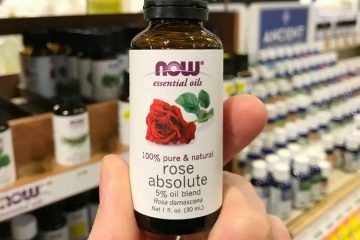 The liquid and tincture forms are sometimes called essential oils, but they’re technically not an oil. In short, there is no proof of it currently working for anything. It should not be used to treat, cure, or prevent any disease. As it stands today, let’s review the current scientific research so you can better decipher between the “magical properties” being claimed and what the studies have really found about killing candida yeast, cancer cells, and the other claimed benefits. And just like you have people hyping it, you also have some hating it. 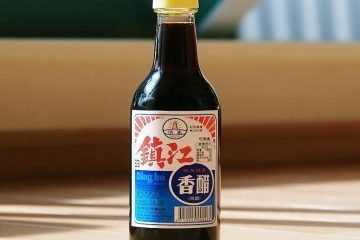 Is pau d’arco safe to drink? Without throwing Susun Weed under the bus, let’s just take a good hard look at the facts and findings, so you can decide for yourself. In the United States, a generally recognized as safe (GRAS) validation has not been pursued/approved, as it is not sold as a food ingredient. Even the tea is only available as a dietary supplement. 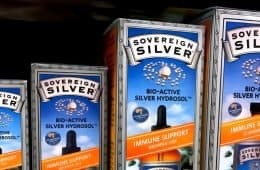 Some manufacturers advise consulting your healthcare practitioner prior to use, such as this box from Traditional Medicinals brand. Mountain Rose Herbs pau d’arco has a similar disclaimer. The capsules from Nature’s Sunshine only advise consultation “if you are taking blood thinning medications, or have a bleeding disorder” or are pregnant/nursing. Nature’s Way has a similar advisory. The liquid extract from Now Foods says all that and it’s for adults only (keep out of reach of children). Those are the side effects reported by Web MD and the University of Maryland Medical Center (6). Mayo Clinic does not have an entry for it. Lapachol, which is a natural phenolic compound in the plant, is believed to be responsible for many of the beneficial things being studied. 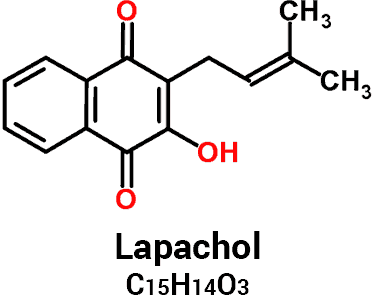 The flip side is that lapachol is toxic and may be the root cause (or a worsening factor) in the adverse reactions. When a dosage of pau d’arco equals more than 1.5 grams per day, the risk of them happening seems to be greater. A big problem with the teas, capsules, and other supplements is that they only tell you the weight of the dried bark, not how much lapachol is in them. Since that can vary, it makes the possibility of overdosing even more of a concern. As you see the wood, bark and roots contains a lot of lapachol – around 1.5 to 2%. 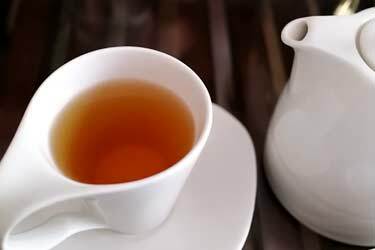 It seems drinking the teas are much safer than the whole inner plus outer bark. Still, that’s a large variance between those two samples; one is 60% higher than the other. Another risk to consider is the quality – or lackthereof – of pau d’arco capsules. By shaving off more than just the inner bark, some suppliers may cut corners, literally. That could lead to a much higher percentage of lapachol in the product, since the rest of the wood and outer bark contain a lot; up to 3,500% more according to the above test. Powders and pills are more of a danger for overdosing. Since they’re so concentrated, it’s easier to take too much of them. The same could easily happen with teas that aren’t made using the pure inner bark. The lesson? Integrity of supplier is very important. Pau d’arco reviews should be read. Brand or company should be trustworthy. If you search in the NIH’s PubMed database for Tabebuia avellanedae and cancer you will only get around three dozen results. A decent amount, but really not that much. Most importantly, none are clinical trials or human studies. All research so far only involves cultured cells and animals. This is not some new discovery, either. It wasn’t for another 14 years until the suspected anti-cancer compounds were identified as being quinones, which is a name for a large class of compounds (9). After that, it wasn’t until the new millennium when new research began to surface. Experiments came out involving cultured human cells for prostate cancer (10) (11), colon cancer (12), lung cancer (13), bladder cancer (14), leukemia (15), and others. G361 and SK-MEL-28 are melanoma cell lines. As you see, the percent of them alive went down as the dosage of ß-lapachone went up (using 1, 2 and 3 µM). For the G361 melanoma cells, these photos show their morphological changes after 48 hours. As you see, their numbers decreased and some changed shape, becoming more rounded. That Sp1 downregulation they mentioned mimics what others are saying. Not too long before that paper, another talked about the same happening in experiments using oral squamous cell carcinoma (lip and oral cavity cancer) (17). Based on experiments with cultured breast cancer cells, Argentinian scientists suggested that combining photodynamic therapy/PDT (an approved treatment) with the unproven ß-lapachone might be a “potentially promising modality” that warrants further research (19) (20). Tumors can’t grow without angiogenesis, which is the growth of new blood vessels to feed them. 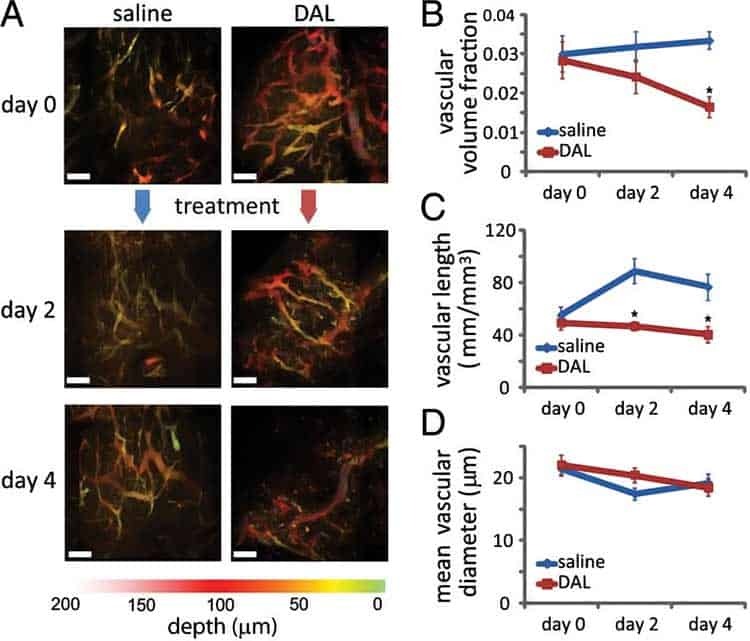 Might there be another type of lapachone in the plant that interferes with angiogenesis? This chart shows the anti-tumor effects observed in their mouse models. Compared to the saline water (blue line) the dehydro-alpha-lapachone (red line) had lower vascular volume, length, and diameter by day 4. Regardless of which form of lapachone you’re talking about, unfortunately there have been very few animal studies done to date. One found that the extract of pau d’arco benefits mice with tumors, by prolonging their lifespan (22). Those lesions are colon cancer, induced by the poison azoxymethane. As far as the more promising findings, those in and of themselves are not that special. Soursop and frankincense cancer research are just two of many similar plant-derived examples. The problem is what works in laboratory well plates doesn’t always translate to living, breathing humans. This could be like many other cytotoxic natural compounds which seem promising in the early days, but just don’t work in real life. Even if it does work, the dosage of pau d’arco extracts for cancer might be a dangerously high amount, perhaps even lethal. That’s always the catch-22 with finding treatments for this horrible disease. There are many toxic chemicals which can kill cultured cancer cells when poured directly on them in a Petri dish, but that doesn’t mean the same amounts are safe to use in a body. It’s wrong to claim this as a benefit. A lot more research is needed on this topic to know anything, one way or another. Does pau d’arco kill candida? 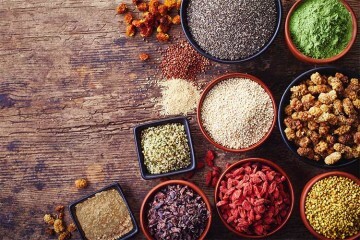 Using this tea for gastrointestinal parasites is a trending topic in the herbal remedy realm. Yeast infections such as Candida albicans and valley fever are the most discussed. 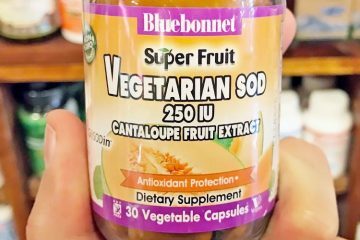 Antifungal and alkaline properties are two theories put forth for those. Susun Weed obviously isn’t a fan, but you do read about a few who talk about how to use it as a douche after menstruation, or as an enema. Thankfully, those websites do not include photos as part of their instructions! While not fungal in nature, small intestinal bacterial overgrowth (SIBO) and urinary tract infections (UTI) in both men and women are two others you hear. Some talk about more general digestive uses of taheebo tea, which may be completely unrelated to yeast; gastritis, constipation, and leaky gut. 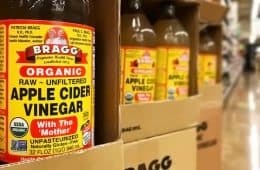 Or vague claims like it’s a blood cleanser for “detox” and good for kidneys. All of those claims are misleading. Science has not validated any of them to work or be safe. How to get rid of SIBO without antibiotics is an understandable desire, but there is not a single entry within the 27,000,000+ pieces of medical literature on PubMed about that disease and the pink trumpet tree, or any other in the genus. 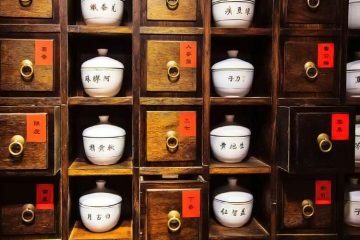 It’s not research, but rather just a paper written by one doctor who talks about pau d’arco along with herbs like dill, thyme, oregano, stinging nettle, and horsetail, as well as TCM extracts like stemona root (bai bu), wormwood and other flowers, fruits, leaves and roots. Her pitch for why pau d’arco inner bark might work is only two paragraphs and not compelling whatsoever. It’s mostly unrelated yapping. Using the tea as a douche or enema internally is nowhere to be found in scientific literature, either. Tabebuia rosea – The rosy trumpet tree or pink poui. This is closely related but a different species than the commonly consumed pink trumpet tea (Tabebuia avellanedae). Jacaranda mimosifolia – Called jacaranda or the fern tree. It has blue flowers. Tecoma stans – A flowering perennial shrub known as yellow trumpetbush and yellow bells. Crescentia cujete – The national tree of St. Lucia is better known as calabash. 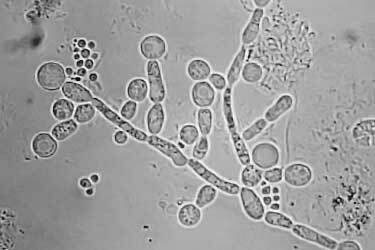 All four species demonstrated antifungal activity against candidiasis. For Tecoma stans, the yeast was the only thing it seemed to be effective against (no efficacy against bacteria). However, that species nor any of the others are brewed as teas. 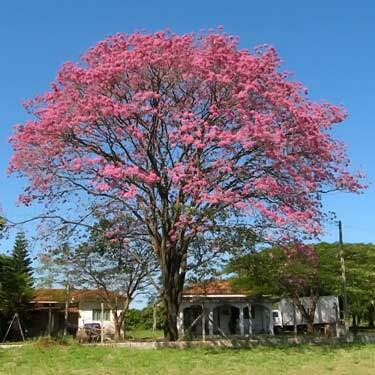 Tabebuia rosea would be the most closely related. As with the Nigerian study, this one didn’t even test the species of pau d’arco for candida which is normally drank as tea. 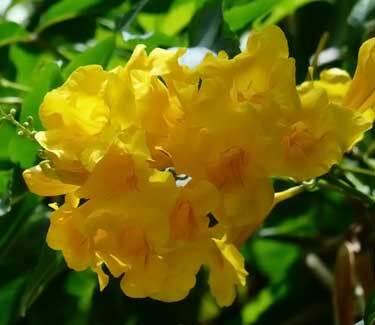 Instead of Tabebuia avellanedae, they tested Tabebuia caraiba, better known as Caribbean trumpet tree (25). Other names for it include tree of gold and silver trumpet. It has bright yellow flowers but should not be confused with yellow pau d’arco tea, as that typically uses yet another species, Tabebuia serratifolia. This was a fairly extensive piece of research. Note that their above reference was not about pau d’arco essential oil, but rather the essential oil of an unrelated plant (Lippia sidoides) and how its performance varied between species. 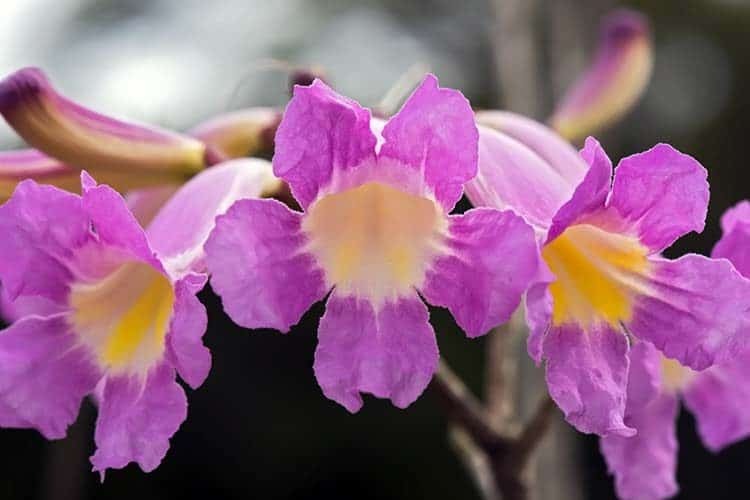 They also cite a 2000 Brazilian study (not on PubMed) which said the compound ethyl p-hydroxycinnamate, found in the Tabebuia (pau d’arco) genus of plants, which has reportedly shown activity against C. albicans fungi. The extracts of several South American medicinal plants were tested against candida in the lab (27). This is the only study which used pau d’arco liquid extract coming from the same species that most teas use, Tabebuia avellanedae. The were 2 forms of extraction methods used; dichloromethane and menthol extract. Only the latter showed antifungal advantages, but it wasn’t the best performing. It’s worth mentioning that Lyme disease has not been studied whatsoever. That is caused by the bacterium Borrelia burgdorferi (not a fungus) from tick bites (28). The reason it’s important to point this out is because many online sources talk about pau d’arco for lyme disease and candida as if they’re related diseases, when they definitely are not! For the cultured candida, that last study reported the Minimum Inhibitory Concentration (MIC) was 0.003 mg/mL. That was how much pau d’arco for candida growing in the well plates to be affected. 1 mL of water weighs 1 gram. So in other words, the pau d’arco dosage was 0.003 mg per gram of water. 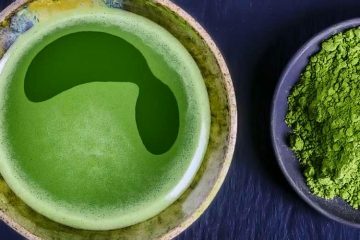 A standard serving of tea is around 2 grams (2,000 mg) of dried leaves or powder, therefore it seems plausible that such a concentration might be occurring with some teas… or maybe not. Remember, they only said a methanol extract of the inner bark was what led to that 0.003 mg/mL MIC. Tea is not made with a concentrated extract like that. But most important of all, that study involved the bark diluted in water, which was tested in Petri-dish like environments. The medium used to grow them was sabouraud dextrose agar (sugar) and not cells from an animal or human. Websites advising how much pau d’arco for candida are not doing so based on the facts. While it might have some inhibitory effect, humans with this infection have never been studied and even it were to work, it may require an unsafe dosage. The bottom line is there is not sufficient evidence that pau d’arco is good for candida. Lastly, a lot of claims have been purported about inflammatory-related conditions. Blogs and message boards talk of using pau d’arco for joint pain, arthritis, and diabetes. Skin conditions worsened by inflammation like eczema, plaque psoriasis, and acne are also brought up as candidates for a pau d’arco lotion or topical gel. Any claims about the plant being “shown to” or “proven” to help these things are false. It has not been studied for any of these diseases. There’s a 1999 piece out of Germany where they said “some lapacho-derived compounds appear to be promising as effective antipsoriatic agents” because they might inhibit HaCaT cell growth (29). But it has not been studied for psoriasis in animals or humans. Although closely related, they were looking at a different species of Tabebuia. Even if it were the same, that’s just one mouse study. Far from being any sort of proof. In 2013, neurobiologists at the University of Arkansas said ß-lapachone suppresses types of cells which “may be effective in the treatment of inflammatory diseases such as MS [multiple sclerosis]” but that’s just a theory based on experiments they did with mice (31). At the end of the day, very little research exists and none of the claimed benefits have been proven. It’s fine to enjoy as a delicious caffeine-free herbal tea, but this ingredient should not be used for any sort of disease. 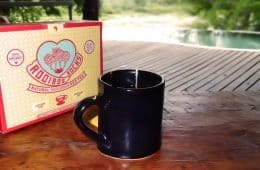 Unlike loose leaf and powdered teas which only take a few minutes to brew, an authentic cup of taheebo or lapacho will require boiling the inner bark wood for an extended period. Prepare using a stainless steel or glass pot. Combine 1 flat tablespoon of pau d’arco and 3 cups of water in pot. 2. Boil for 5 minutes. 3. Reduce heat and simmer for an additional 20 minutes. 5. Pour through strainer into cup and enjoy. The inner bark is the only ingredient in pau d’arco. 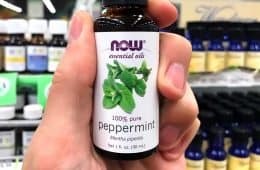 Some people combine it with echinacea, essiac, cat’s claw, garlic, grapefruit seed extract or other ingredients, but those are not the traditional recipe. If you live outside South America, you won’t have many options. If you live in the UK, a specialty health store like the chain Holland and Barrett should have pau d’arco tea for sale. In the US though it’s less popular, so even specialty grocery stores are unlikely to stock it. Places like GNC and Vitamin Shoppe will only carry the capsules and even those may need to be special ordered. That’s why most people buy it online. On Amazon you can buy cut and sifted bark from Frontier, which is a respectable spice company. 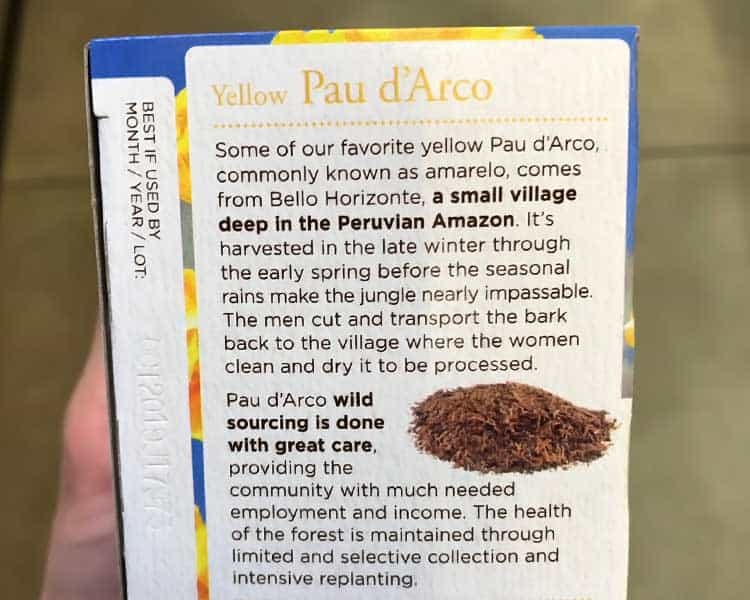 If you want the convenience of individual tea bags which are ready to brew, Traditional Medicinals sells the rare wild yellow version known as “amarelo” by the locals. Reviews are generally positive for it. You can find this yellow version on Amazon. Bunch of lies. Work for the drug companies perhaps? Pau Darco saved my life. period. What brand did you use? How much? How often? Where did you buy it? Most of my family died from a variety of cancers and I want to protect myself with natural things before having to go the medical route. Pau d’ Arco probably is overhyped, but we all have different milleu and some people may get a good response while others not at all. I don’t agree with the statement that claims are misleading because science hasn’t proven them yet. Science is sometimes slow to catch up with many of the world’s natural healing plants, besides, before ‘science’ existed does that mean that claims that are proven now by science weren’t true before science came on the scene to verify them? I wonder why? … Just because western science hasn’t smacked an appropriate label on it doesn’t stop it from being a thing. It’s like me saying “show me pictures, or it didn’t happen”. i cured my candida and boils and hair falling out because of pau de arco or lapacho. living witness here..i don’t care what ever they say, i’ve tested it and proved it. in just 2 weeks my candida symptoms are gone! Pau d Arco tea is definitely reducing the candida in my lungs and GI tract, a problem that arose after a bout with pneumonia almost two years ago. Drinking it loosens the mucus and I cough it away. I can breathe much better now. I drink one cup a day. VA4DDY, could you share exactly what Pau d Arco you drink, in which form (tea bags from the store, any particular brand, bulk). Thank you! I was in the jungle in Peru with a fungal infection so bad it was going to kill me. A shaman had me drink one cup of pau d’arco every morning for 6 days, and the sores on my skin disappeared and never came back. It does have antifungal properties and there are a ton more studies that this author didn’t list – so either this article is super old or the person works for big pharma. Either way, that herb saved my life! You state from other sources that there is ‘insufficient evidence’, but these sources also are not taking the time to create studies to see if there are positive effects. They are literally saying there is not enough evidence. How much evidence do they have? How much more do they need? Do they have any, or even attempted to gather data to see its effects? I am totally disgusted of the medical industry in general and have been taking anecdotal data from many people more seriously than ever before. 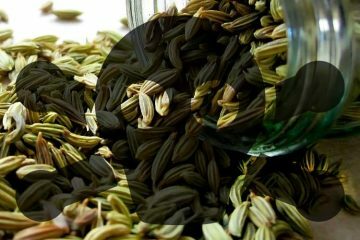 Many people have seen benefits from this tea, from its anti-aging properties, candida-cleansing, etc. How come most dietary supplements are not tested but numerous studies are made on all the prescription drugs shoved down people’s throats? Herbal remedies can not be patented. As such, herbal remedies lack a needed motivator to invest in expensive human studies. As such, any claim can be made. 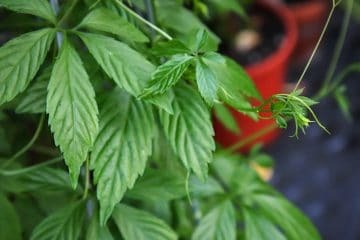 However when there are thousands of years of use as a traditional remedy, the herb may have merit for those specific traditional uses. 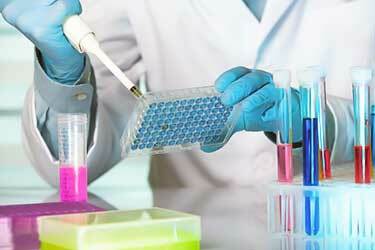 Controlling dose remains a troubling issue when the product offers no content analysis. As such, dealing with an unprocessed product from a known source might provide a safer strategy.